Here you will be able to find answers and step-by-step instructions to help guide you on how to use the tools. Review the Tutorial Section to help you understand how to use the StudyCrafter Authoring Tools to create your own experiments. StudyCrafter is an interactive learning experience designed to guide the user on the proper method of conducting scientific research. 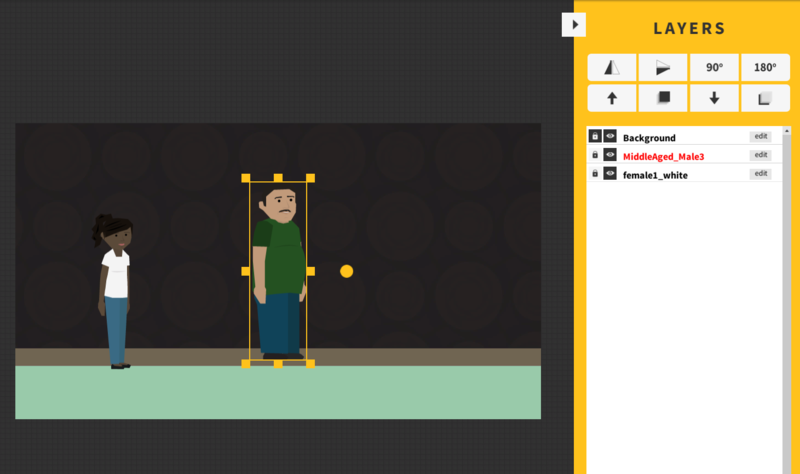 Using the foundational concept of storyboarding, StudyCrafter allows the user to create a multi-layered and in-depth simulation for research experiments. Users do so by creating scenes and accompanying scripts to build games and test the hypothesis that they draw. StudyCrafter is designed for anyone interested in learning how to conduct a research experiment. Currently, StudyCrafter is used by college students to learn how to create scientific projects and develop replications or novel experimental ideas on how to test for scientific principles. However, any learner from any age range can use StudyCrafter. StudyCrafter utilizes the basic concept of storyboarding to create the research projects. Each experiment in StudyCrafter is a Project. The different parts of the experiment are Scenes. 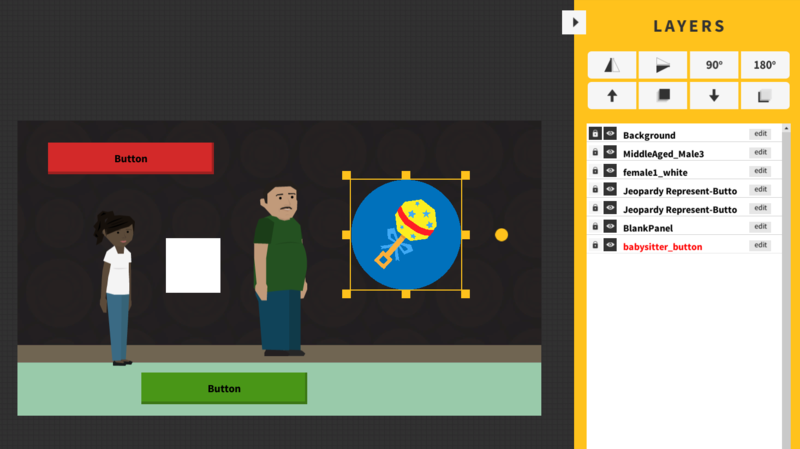 Within each scene, the user can add a layout with characters, backgrounds, and objects. Those assets can then be scripted to allow for dialogue, movement, conditional branching, and layering. Once the scenes are created, you play the project. StudyCrafter autosaves in the background, so there is never a need to save your work. Projects are the name for the scientific experiments to be created or recreated from existing historic experiments. StudyCrafter does not limit the number of projects that the user can create. The average file size for a project is between 10-50Kb, so there is no concern about the size of the projects filling the computer’s hard drive. 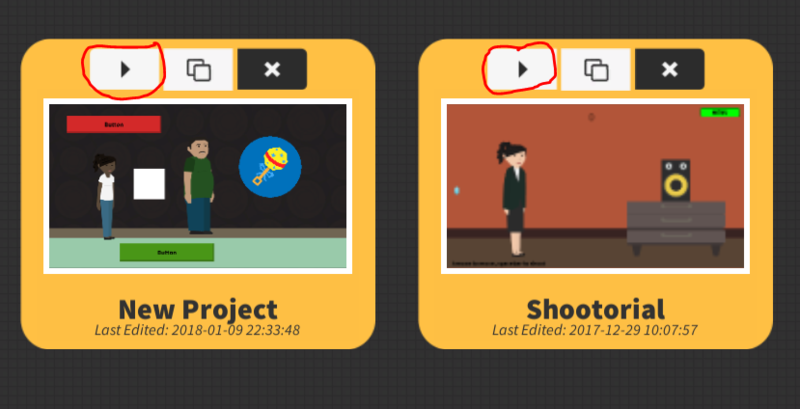 When opening StudyCrafter, the user is first prompted to select either an existing project or to Create a New Project. To start a new project, single click on Create a New Project. Once a new project has been created, it is placed at the beginning of the project list. To edit the project, click on the new project and the project dashboard opens. From the project dashboard screen, the user can change the name of the project, add a project description, and also delete the project. The more details provided, the clearer the project will be for other users. A scene is the frame that make up a project. A scene can serve many different purposes; it can show dialogue between characters, motion of objects or characters, or an interaction between the user and the project. Looking back to the storyboarding analogy, a scene is one of the boxes that show what happens within the project. The only way to create a new scene is within the project dashboard. On the dashboard is a snapshot of each scene within the project, as well as a blue icon that says New Scene. Single click on the New Scene icon and a short explanation of the scene building options appears. The Layout, Scriptor, and Play features are introduced. These features will be described in greater detail in other chapters. Single click on the screen to continue to the Scene Builder. Within the Scene Builder is the option to add various assets and characters to the scene. By changing backgrounds, or adding characters and objects to the scene, assets provide depth to the scene. Assets can be divided into three categories: backgrounds, objects, and interface. In this section, only background and objects will be addressed. Interface will be explained further along when discussing advanced topics. To access the assets, click on the Assets tab. The Assets tab, when selected, will be yellow with black text. Select the desired asset type from the drop-down menu. Navigation throughout the assets is simple as well. At the bottom of the selected asset type are the navigation options. Click on the number to move to the corresponding page of assets. If the user knows what page the asset is on, the navigation arrows on either side of the numbers will quickly move throughout the pages. Scroll through the pages to find the desired asset, the click on that asset to add it to the scene. Once the asset is added to the scene, the asset can be resized by selecting any one of corners or sides. The asset can also rotate using the wheel located on the right side of the asset. Backgrounds are an important feature when developing a scene in a movie or TV show. Backgrounds are used to enhance the story, draw emotion from the user, or to set up the movement of the story. StudyCrafter has a deep inventory of scenes that would allow for the creation of nearly any scientific experiment. Each of the sixteen pages of background assets has ten backgrounds, for a total of 160 different backgrounds. Section 4.5 discusses how to search for a specific background. Objects are items that enhance the background. Objects provide depth to the background by providing further development of the chosen background. Objects also are items that characters can interact with. StudyCrafter has an extensive library of object assets; 48 pages totaling 480 object assets. Section 4.5 discusses how to search for a specific object. Characters provide an additional layer of depth to a scene by creating assets that will interact with the other assets in the scene. Characters can move throughout the scene or can interact with each other through the use of dialogue. To add a character to a scene is identical to adding any other asset to a scene. First, click on the character tab. 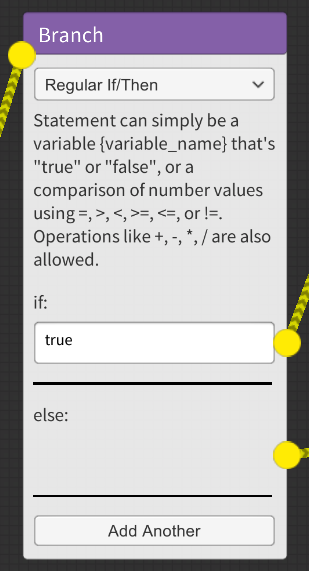 The tab is selected with it is yellow with black text. There are 14 pages of character assets for a total of 140 potential characters. The characters are either standing or sitting, male or female, or of various races. Scroll through the pages to find the desired character, the click on that character to add it to the scene. 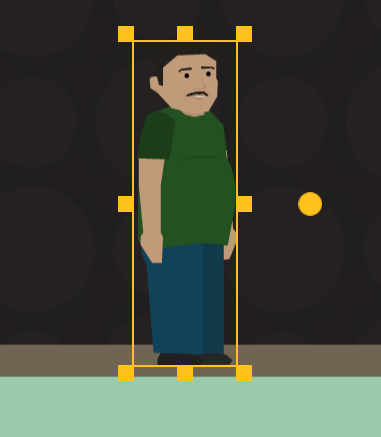 Once the character is added to the scene, the character can be resized by selecting any one of corners or sides. The character can be rotated using the wheel located on the right side of the character. To search for an asset, locate the search bar, found in the upper left-hand corner of the Scene Builder. If searching for an asset, select the Assets tab. If searching for a character, select the Characters tab. Both assets and characters all have specific keywords for faster searching. For example, if you want to search for a female sitting down, you cannot search for “Female Sitting”. StudyCrafter will not recognize multiple keyword searching in this version. It is suggested to search for “female” then scroll through the pages to find an appropriate character that fits in the scene. The scriptor adds depth to each scene by developing the action of the scene. Through each of these features, the user can enhance the storyline in a variety of methods. To add scripts to the scene, select the Scriptor tab at the top of the screen. Once selected, you see the starting scripting branch of the scene. 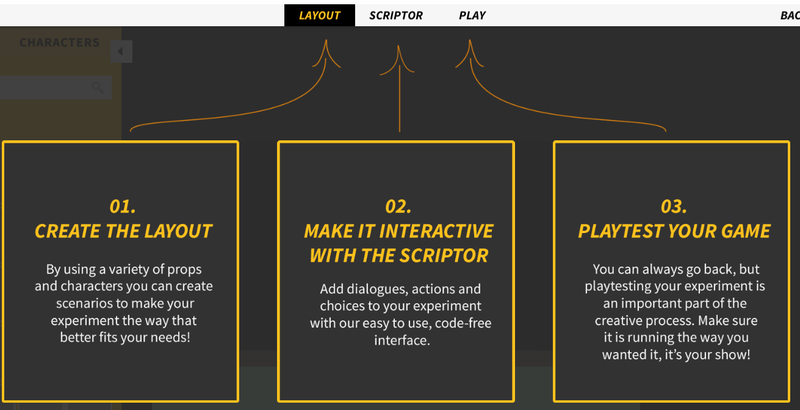 Each scene has its own scripting branch, so be aware of that when editing the scriptor. Left click and hold on the mouse over the yellow dot. Drag the mouse to where you would like to drop the scriptor and let go of the mouse button. A chain is now created between the two scripts. A selection menu will appear with the different scripting options. The standard ones will be covered in this chapter. Continue this process for every piece of scripting that the user wants to create. To break the chain, right click on the chain and it disappears. Each of the scripts can be moved by left clicking and holding, then dragging the script to the desired location. Dialogue is an important feature for a scene. As dramatic as a character staring at another character can be, it also provides a challenge in moving the story along. Dialogue provides the interaction between each character by using words to communicate with each other. Select the asset that will be the speaker. Dialogue is not limited to humans, as Disney has reinforced to the public multiple times. Type in the dialogue that will be attached to the asset. The dialogue box will fit as much text as desired. However, be aware that there is a finite space on the scene and a dialogue box will be very large and prominent if there is a lot of text. Also, the creation of a dialogue script does not mean that a conversation will occur. A conversation is a dialogue exchange between multiple assets. To create a conversation, create multiple dialogue scripts where each asset has its own dialogue. The action script creates movement with an asset. Movement is not just limited to an asset going from one side of the screen to another. Movement can be rotation, flipping, and size changing. As with dialogue, only one action can occur per script. If multiple action motions are needed, multiple action scripts are required. The actions scripts do not have to be linear in terms of the storyline. 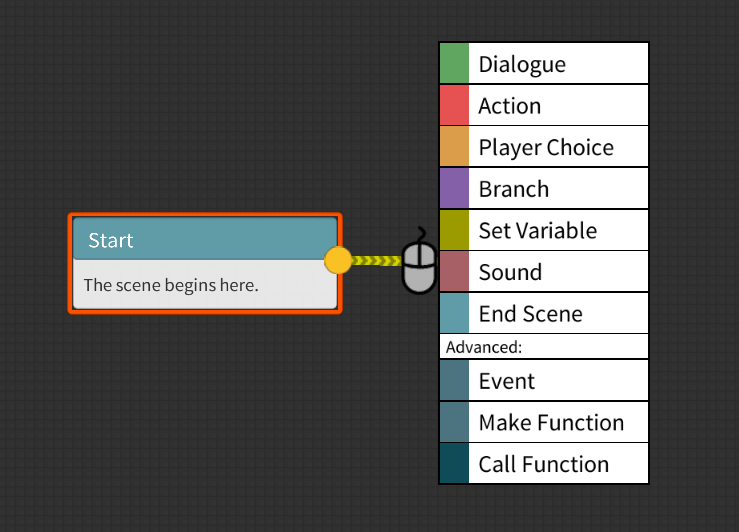 The action scripts can have other scripts between the action, like dialogue or variables. Select the object that needs action. As with dialogue, action is not limited to human characters. Choose the type of action desired. This action can be either movement, rotation, or resizing of the object. When the action is chosen, another selection box (or boxes) appears below the action. This is to provide greater detail in the movement selected. Note that movement along each axis provides movement in that direction. X-axis is horizontal movement and the Y-axis is vertical movement. Z-axis is not utilized here. After all the options are chosen, choose how to advance to the next node. Choose between On Click, When Completed, Instantly, or After Time. Player choice scripts give the player the option to choose one option over other options. This allows for a conditional response and customization for the player. That means that, depending on what the player selects, a different outcome can occur. The outcome could be another script in the scene, the end of the scene to transition to another scene, or the end of the experiment all together. Player choices can sometime be confusing to manage, so the user must ensure that the branching follows the vision of the experiment while also considering the player experience. The more complex the consequences of the player choice, the more likely that the player and possibly the user will get confused. Select the type of choice to make. For those new to StudyCrafter, the Simple Choice is the most appropriate one to pick. If a prompt is desired, check the box. This adds a small dialogue box that can be assigned to any asset. It will appear with the choices. Create the choices that the player needs to choose. The default is two choices but select Add Another and more choices can be added. Remember that the choices will appear as dialogue buttons in front of the scene; the more options to choose also means less of the screen is visible. Choose the script that will happen for EACH choice. Each decision, bad or good, has a consequence. Every choice in StudyCrafter also has a consequence after each player choice. Branching is similar in design to the Player Choice script in terms of conditional responses. However, where they differ is that while the Player Choice script gives the player the option to choose their own adventure, Branching does not. Branching allows the user to create an If/Then statement and responses based on the defined condition. If the if/then statement is not written correctly, then nothing will happen in the script. Be aware of the wording and punctuation when creating conditional statements. Select the type of branch for the script. The user can select between either a regular if/then statement or random. Define the parameters of the branch. Define the if/then statement. This script adds sound to the experiment. Sound, not singing or voice acting, can also add ambiance to a scene. Sound can also be an auditory conditional response to an action, like an incorrect buzzer when a question is answered incorrectly. Sound, depending on the experiment, can be an important factor in achieving the desired reaction. Select the type of sound effect. The user can select either a sound effect, background music, or sound to play in a loop. 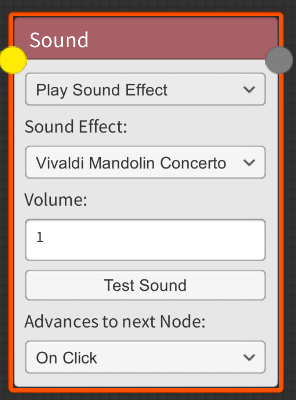 After selecting the type of sound, select the sound. There is a multitude of sound effects, animal noises, and classical music to choose from. Select the volume level of the sound. The lower the number, the softer the sound. Choose what happens after the sound plays. As the name implies, this script ends the scene. However, the end of the scene doesn’t mean the end of the experiment. The user can choose what scene follows next, as well as any transitional text. 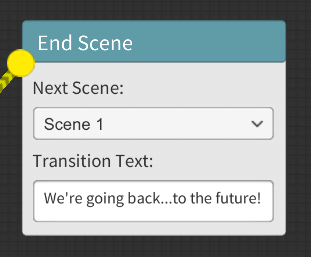 End scene also is the transition point of the conditional responses from the Player Choice script or the Branch script. Depending on the choice, the user can select which one will be the next scene. Choose what the next scene will be in the story/experiment. If this is the terminal point in the experiment, select None. If a text is needed to transition between scenes, add the transition text here. Once comfortable with the basic features within StudyCrafter and specifically the scene builder, then some of the advanced features can be explored. These advanced features take some basic coding skills to execute, but do offer even more customization to the scene and to the project as a whole. 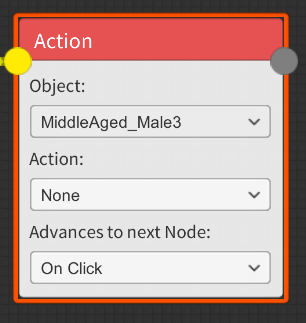 Returning to the Assets tab in the scene builder, the final component to discuss is Interface. 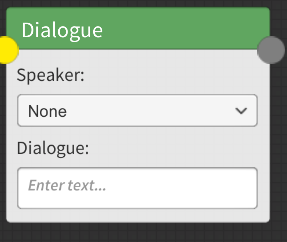 Interface adds assets such as buttons, speech bubbles, or blank panels. As with all assets, Interface assets add yet another layer of depth to a scene by providing a type of interactivity with the user. To add an interface to a scene is identical to adding any other asset to a scene. First, click on the Assets tab. The tab is selected with it is yellow with black text. Select Interface from the drop-down menu. There are three pages of interface assets for a total of 30 potential interfaces. The interfaces are speech bubbles, blank panels, or a variety of buttons. Scroll through the pages to find the desired interface, the click on that interface to add it to the scene. Once the interface is added to the scene, it can be resized by selecting any one of corners or sides. The interface can be rotated using the wheel located on the right side of the asset. As with any other asset, the interface selected has red text in the layers menu. Once the project is ready to test, the user can Play a scene or the entire project. Playing the project during each iteration of beta testing allows the creator of the project to identify bugs for correction. There are multiple spots within StudyCrafter for playing the scenes. From the Project Menu screen, click the Play button to play the project from beginning to end. From the Project Dashboard, click on the play button at the desired starting scene. This will play the project from that scene until the end of the project. From within the scene builder, select the Play tab at the desired starting scene. This will play the project from that scene until the end of the project.